We spent the last two months in the Al-Khobar compound sleeping and living in the tiny room on the top floor just inside the roof area. We were all packed up and ready to move to the new Riyadh compound, but first a much needed trip to Damascus would be made. It had been 9 long years since my first trip to Syria where I secured my father- in- law’s blessing for our marriage. I was a young mother to an 8 month old and 2 months pregnant with my second child. Morning sickness crept over me but I held my own and vowed to obtain the much needed approval from his family. I gained much more on the 5 week stay, a second family who loved me and whom I adored. 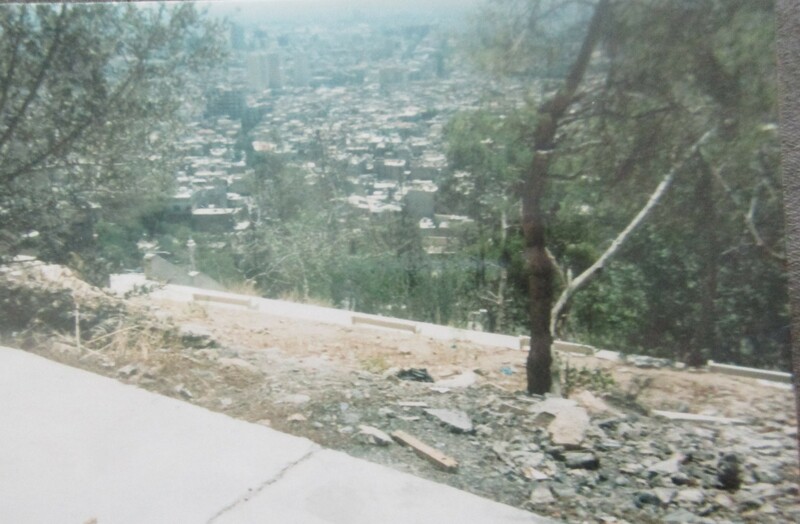 Now 9 years later here I stood once again preparing to enter Syria. The first trip many years before had been difficult and entering through customs took 3 hours. When I tried to pass through the gate, holding my baby and nervously stumbling through the process with my kindergarten Arabic, they looked me over and asked repeatedly, “American? Muslim? where husband?” Hands waived me back and so I sat looking through my form again trying to make sense of this delay. I checked boxes, looked over names and dates and proceeded once again to the counter. Stern men rambled off orders in Arabic and gestured for me to go back and try again. As hours passed I was not sure what to do until a kindly older gentlemen entered the customs terminal. He walked towards me with a gentle look on his face unlike the men at the counter who seemed to grimace when they spoke. “Madam Lynn?” he looked at me with inquiring eyes as comforting English words came from his curved up mouth. I recognized him as an older cousin who had visited briefly in Seattle while attending a seminar. He handed me two more forms and asked me to quickly fill them out and then exited the room. We were finally allowed to pass through and onto the main airport, holding my baby on my hip and dragging my luggage I made my way out to family. Brothers, aunts, uncles and cousins all crowded around to get a look at the American lady and her baby. They hugged, kissed my cheeks, grabbed my screaming baby, carted my luggage and took my possessions. Now, many years later I stood once again, but this time with 6 children all under the age of 9. It seemed as if nothing had changed in those years, the same faces and happenings, utter and beautiful chaos. This time going through customs was easy and we walked those same steps to the main terminal where relatives stood waiting. They grabbed each child, hugs and kisses, blessings in Arabic and dua (asking God to protect someone) made for their good health and future life. It was as if time had not moved in 9 years, the airport and the people were all the same. The children were stunned and overwhelmed, confused and dazed they stood grabbing my stained and wrinkled abaya as they hid behind me. Aunts, uncles, brothers and cousins all stood before us arguing over who would go in each car. We piled into cars and made our way through the streets and freeways to the apartment of my father- in-law. 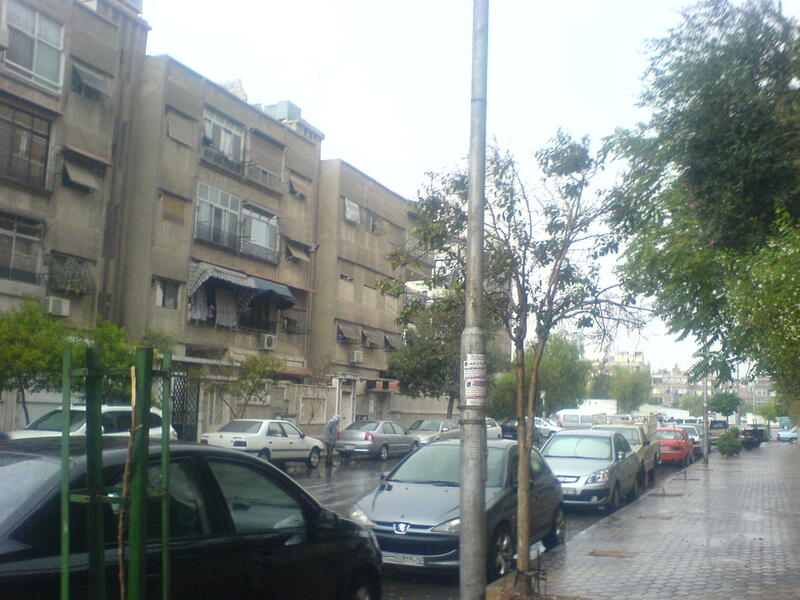 The children had never seen a city like Damascus, honking , hands waving, 5 cars crowding into one lane, carts pulled by donkeys with watermelon stacked in the back, tall apartment buildings stood unfinished shells, dotted with fully furnished residences, people sitting sipping tea while the whole building around them stood disheveled. The sites and sounds of Damascus were a world away from the modern streets of Saudi, lined with large Suv’s, and new vehicles, ladies sitting in the back looking out through tinted windows. In other middle eastern countries women can drive but few do because money is hard to come by and cars are a luxury. 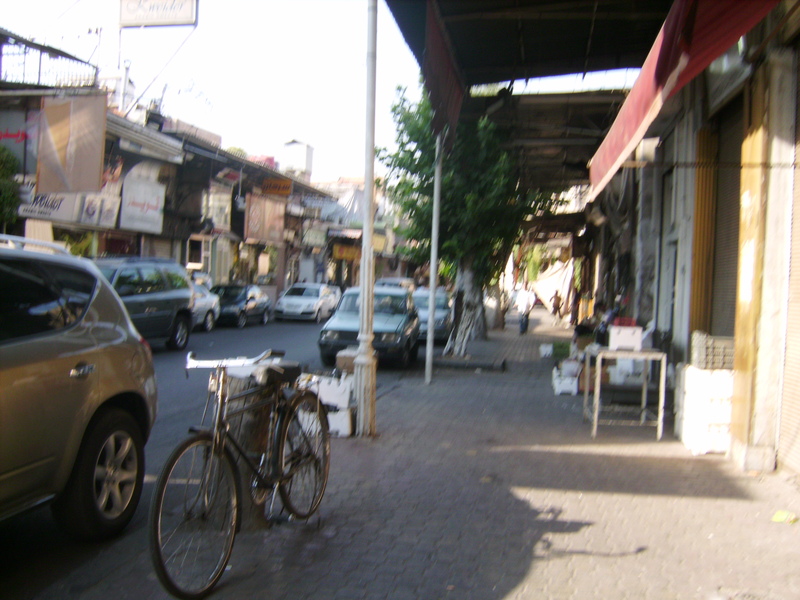 Damascus was literally alive and bustling with people, a contrast to the slow moving, sleepy life of Riyadh. We approached the apartment building and the cars that followed lined up and parked. It was a pleasant blur of people, sights and sounds. All of the kids had piled into one car with me, except the 2 older boys who went with their Amu (uncle). We walked up the 6 flights of cement stairs not able to use the elevator because electricity was off, as it was 2 hours each and every day throughout the year in Damascus. As we rounded the last stairwell we heard people talking and laughing and I knew it was time to start our visit. I saw my mother- in- law’s teary face as she reached forward to grab the baby and cradled her. My father- in -law was sitting in the guest room waiting. I walked in and gave him my “salams” (greeting) and showed him due respect. He laughed and looked at all of the children naming them off one by one asking them to come and sit with him. The two older boys walked forward, hand extended to shake and give their proper greetings. The little ones sat crouched next to me still dazed and frightened. Jido (Grandfather) owned a dry cleaning business in the most upscale part of Damascus which was near the Western embassies. English speaking people came to his shop daily and he had learned to speak fairly well in order to help customers. We sat around him as he asked me how each person in my family was, their health, jobs and life. Relatives soon filled the room, people sat in chairs and pads on the floor. They could not imagine me, “Madam Lynn” sitting on the floor, abaya scrunched up behind me with a baby, 2 and 4 year old clinging to me. This new environment was something the children had not experienced. 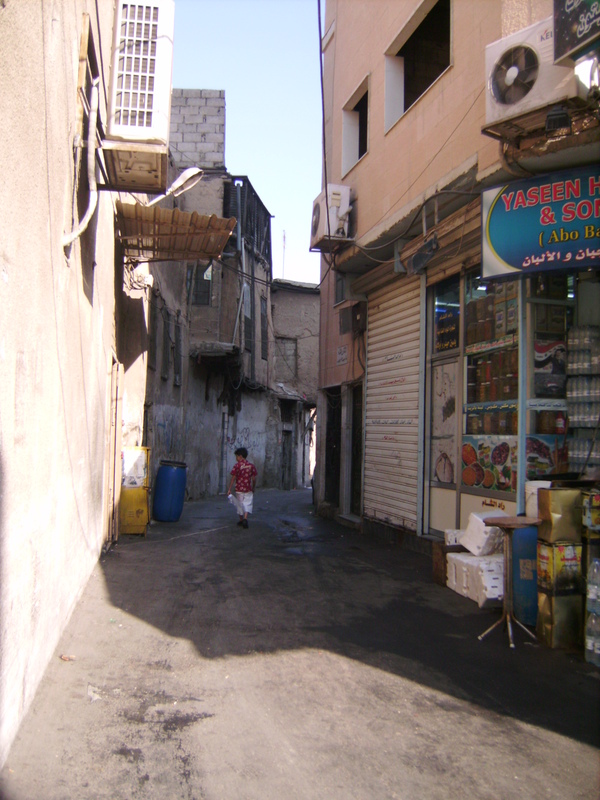 We sat at home in Saudi isolated from the outside world, except for school and neighbors. I was not accustomed to sitting with men and had no male friends, and here among his family it seemed some how strange, men mixing with women and people laughing, joking. We spent the next month there with a set routine. We woke up to speak with Jido (grandfather) while he took his breakfast before leaving for the shop. After 10 a.m. aunts and closer relatives would come to sit, visit, help with the meal and stay the whole day. The next wave of people were cousins who would come several times a week and distant cousins who might make this one and only trip. The house was full of people from morning until night. By afternoon it was empty and we would retreat to our room to unwind. In the evening the stream of visitors would start up again and last until at least midnight. Long time family friends came, neighbors and friends that he had know many years before. Each and every day was filled with visiting, this is the heart of Arab life. When family comes it is relaxed, a tray with tea, some fruit, everyone sits on the floor in the family room. When people who are not immediate family make the visit it is much different. Everyone sits in the “sitting room” lined with the best furniture the family can afford, couches, glass tables, decor that ladies buy and place around to make a home. The visitors are served Arabic coffee, pastries, then fruit, tea and finally water. It is a big production and each person much be served, tea poured for them into tiny glass cups. The month came to an end and we got ready to head back to Riyadh and our new life in the company compound. The last day was filled with tears, promises to return soon and blessings once again placed on our heads. We made the same drive back to the airport and said our goodbyes.